Short Sal e for Buyers – What Is A Short Sale? A short sale for buyers occur when a Property sells for a price that is insufficient to pay back the loans secured against it (or any other liens against the Property such as delinquent Property taxes, Homeowners/Condominium Association Fees, etc. ), as well as standard sales closing costs. In order to complete such a sale, the Seller must either: (1) come to the closing with sufficient cash from other sources to cover these shortfalls: or, (2) the Seller’s lender must agree to forgive all or a portion of the amounts the Seller is “Short” or make other arrangements for repayment (such as execution of a promissory note). This second alternative is commonly known as Short Sales. The Seller’s lenders will generally not allow the Seller to receive any proceeds or otherwise obtain any monetary benefit as part of a Short Sale. Short Sale for Buyers – Are Short Sales a “Better Deal” Than Other Properties? Buying a Property through a Short Sale may be a “good deal”, but that is not always the case. First, there is no assurance that a Seller will obtain approval of the sale from the lender. Each lender has its own requirements to qualify. Most lenders will not allow the Seller to pay for repairs or credit money to a buyer for repairs, and as such, your best, and perhaps only, opportunity to purchase a Short Sales Property will be on an “As-Is With Right to Inspect” basis (which allows you to inspect the Property and cancel the contract if repairs exceed an agreed upon amount). Also, lenders will typically not allow closing costs and other credits to be given to a buyer on a Short Sale. While you may consider purchasing a Property that is subject to Short Sales approval, there may be other properties available through a traditional transaction which you may find better satisfy your goals. 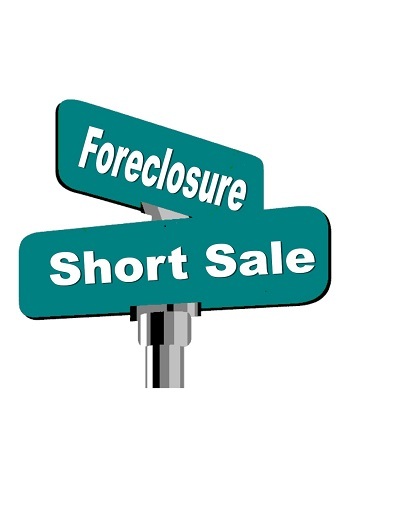 Short Sale for Buyers – How Long Will It Take To Get A Short Sale Approved? Every Short Sale situation is different and depends upon many different factors such as the Seller’s individual circumstances, the nature of the loan(s) and other liens against the Property, and the Seller’s lender’s criteria and staffing. Many lenders will not even begin to review a Seller’s request until a contract for Short Sale has been executed, which may further delay the process. In addition, lenders will require the Seller to provide detailed financial information and may also perform appraisals of the Property to determine whether it is in fact worth less than the other outstanding mortgage amount. While some lenders are able to review Short Sale requests quicker than other, many lender take at least 3-4 weeks, if not longer. What Should I Include In My Contract For A Short Sale Property? This provision allows the Seller an agreed upon period of time to obtain lender approval while not keeping you in a contract indefinitely waiting on the lender to decide whether it will approve the sale. Should you have specific questions regarding how to protect your rights in connection with writing a contract for a Short Sale Property, it is recommended that you consult with a real estate attorney.